If there’s one thing the Steelers hate, it’s covering big spreads. But the pressures on for the team to separate from the rest of the AFC pack. Baltimore owns the tie-breaker with two wins over the Steelers. The Texans also beat the Steelers, so even at 9-3, this team is in must-win mode. Their chances for the playoffs look good, so even against a stiff pass defense, the Steelers should be able to win and win big. Ravens win big and Colts don’t do enough in garbage time to cover this week’s massive spread deficit. The Texans don’t need an elite QB to beat a second-tier AFC team. The Bengals will put up points, but the Houston will control the pace of the game with their relentless rushing attack. The spread’s a bit large, but the Packers can cover. The Raiders are still hurting and Green Bay just can’t be stopped. The Jets are in full-blown end of the regular season mode. They always finish hot. The Chiefs are still in the hunt for the AFC West, but injuries and meager offensive showings are piling up. The Jets will keep winning. 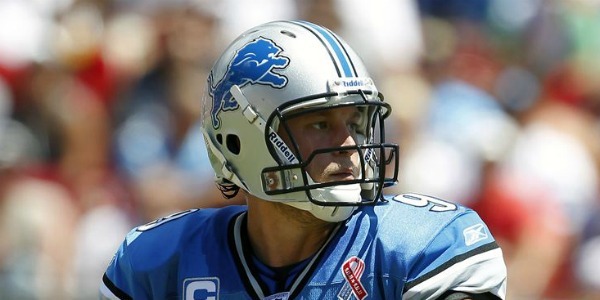 This is the perfect bounce back game for Stafford. Minny’s secondary is a mess, and with Ponder likely to miss this game, the stars are aligned for a Lions victory. Tennessee may fancy themselves a tough team with a strong D and capable offense. And there’s no denying that Chris Johnson has finally found his stride, but even if the Titans can move the ball up and down the field, Drew Brees is playing too amazing to be denied a road victory. Go with the Saints. It’s been a tale of two seasons for Miami. They started so terribly and yet here they are knocking out quality opponents on a weekly basis. These guys are playing with all kinds of heart, and you know with the type of turnaround they’ve had, they’re playing hard for their embattled coach. Andy Reid’s seat is getting pretty hot as well, but this just isn’t Philly’s year. Brady v. Grossman. Rex may deliver a good stat line, but Brady will deliver the W.
If the Falcons want to make some noise this postseason, they can’t get tripped up by a high-flying outdoor team playing for pride. Michael Turner was a big disaapointment last week. So were Atlanta’s receivers. If Matt Ryan can get some help on the ground and some assistance from his receivers actually holding on to the ball, the Falcons should be okay. Two teams with not much to play for. It’s a pick’em, and I’ll pick the team who needs to show up to keep their head coach from getting fired. With all the holes on the defensive side of the ball, the Bucs should have a chance to get their first win in awhile. Even if the Niners start resting starters, the second team should be able to handle the Cardinals. Remember last year in the playoffs when Caleb Hanie was the third string QB and he came in against Green Bay and actually made it a game for the Bears? Yea, no one else remembers either. The only thing people remember about Hanie is that he’s thrown six picks in the last two weeks. Six picks to two TDs isn’t gonna get it done. So the once mighty Bears now find themselves going into Denver as dogs. When the Broncos win, it’s usually by a field goal. It’s gonna be tough for the Bears to score points, but they should keep this game close. Still, they don’t have God on their side. I’m not betting against Tebow until the streak ends. The Chargers looked scary last week. Granted, it was against a team without a secondary, but Rivers has all his weapons back for the first time in a long time. The Bills are in a freefall. They got some good production out of CJ Spiller, but they just don’t feel like a team that can win anymore. Expect a lot of points. If Dallas wins this game, they pretty much lock down the division. The Giants went toe-to-toe with the champs last week and came up short. It’s been a tough few weeks for the G-men, but if there’s one thing we’ve learned from the Cowboys this year, they can certainly find a way to lose games. I like New York to keep their playoff hopes alive. In a season full of unwatchable Monday night games, this may be the worst one yet. Edge goes to the Seahawks who’ve been surging, playing well at home and clamping up on D. They’re going against a third-string QB who’s never thrown an NFL pass, and that porous Rams rush defense should be very much afraid of what Marshawn Lynch is going to do, with or without a bag of Skittles to fuel him. Print article This entry was posted by Chris Stout on December 8, 2011 at 3:16 pm, and is filed under Sports. Follow any responses to this post through RSS 2.0. Both comments and pings are currently closed.